Tata has started developing new products based on its two new platforms codenamed the Alpha and Omega. The Alpha platform will form the basis of a future sedan from Tata. The Alpha platform, which was previously known as the AMP (Advanced Modular Platform), underpins the 45X concept showcased at the Auto Expo 2018. The production version of this premium hatchback will be positioned above the Tiago and will compete against the Maruti Suzuki Baleno and the refreshed Hyundai Elite i20. 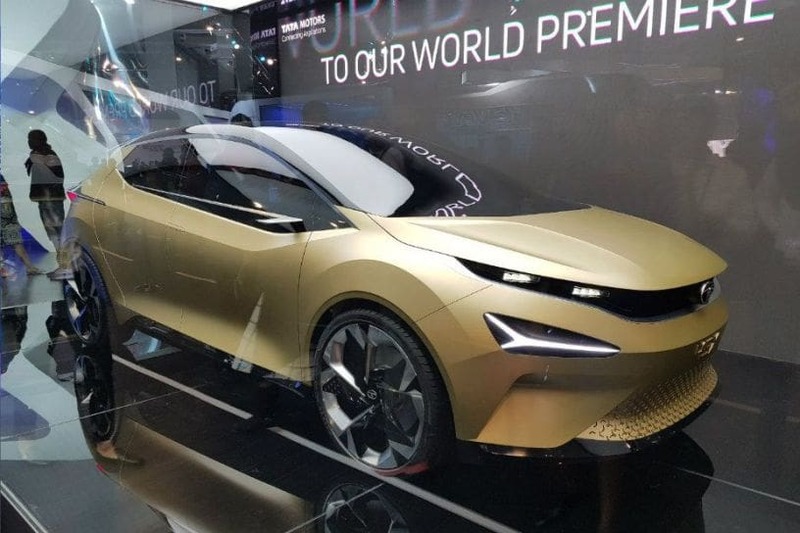 This platform will also underpin future Tata cars that will compete for market share right from the entry-level segment to mid-size sedans and SUVs as big as the Toyota Corolla Altis and the Hyundai Tucson. Tata’s lead designer, Pratap Bose, confirmed this in an exclusive chat. He told us, “We have AMP for all future cars ranging from 3.8 metres to 4.4 metres, while larger cars ranging between 4.5 metres to 4.8 metres will be based on the Q platform. These two platforms will cover every segment that the Indian four-wheeler industry has to offer.” He added that the 45X is going to be the first product from the 45 Series leading us to believe that there will soon be more models based on this hatchback in the near future. Alongside the 45X, Tata Motors displayed an outline of three products with different body styles which are likely to be based on this platform. One of the outline suggests that a sedan that looks more like a coupe is in the pipeline. The new sedan will benefit from Tata’s new Impact 2.0 design language, which is a more evolved version of the existing design theme seen in cars such as the Nexon, Hexa and the Tiago-Tigor twins. And going by the H5X and the 45X, we can expect the sedan to feature a sharp and modern styling. The sedan could share the Nexon’s turbocharged petrol and diesel engines, both of which make 110PS of maximum power and are mated to a 6-speed manual transmission. Like the 45X, which is a premium hatchback that will compete with the likes of the Volkswagen Polo and Honda Jazz, its sedan sibling will rival their sedan siblings, the Volkswagen Vento and the Honda City.